There is a new version of this course. Please see Quality by Design (QbD) Using JMP® Software. This course focuses on how to establish a systematic approach to pharmaceutical development that is defined by Quality-by-Design (QbD) principles using design of experiments (DOE). In addition, this course teaches the application of statistics for setting specifications, assessing measurement systems (assays), developing a control plan as part of a risk management strategy, and ensuring process control/capability. All concepts are taught within the product quality system framework defined by requirements in regulatory guidance documents. Analyses in this course use the point-and-click interface of JMP software. ensure your process is in (statistical) control and capable. Interested in this course? Join our interest list and receive course updates and scheduling information as it becomes available. 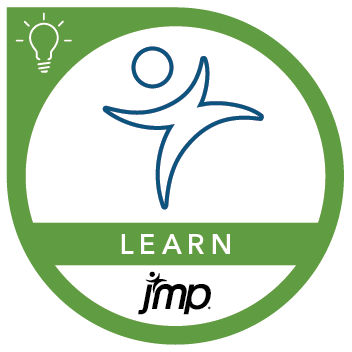 Before attending this course, you should attend the JMP® Software: A Case Study Approach to Data Exploration course. It is also strongly recommended that you attend the JMP® Software: Statistical Decisions Using ANOVA and Regression course.